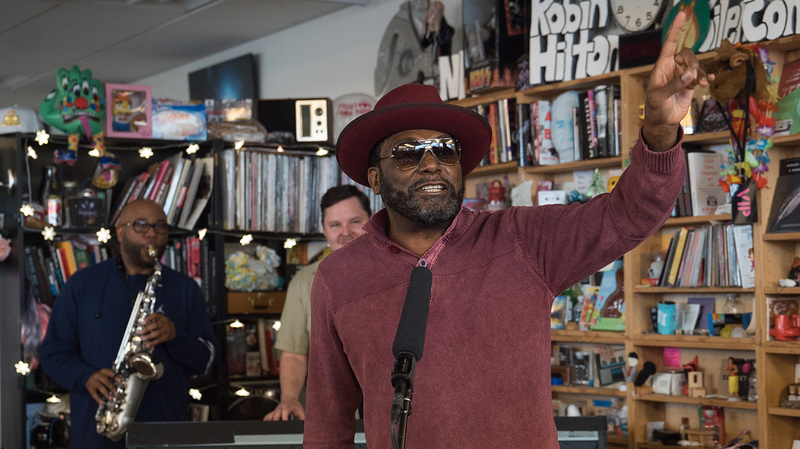 One of the greatest to ever bless the mic, Big Daddy Kane treated Tiny Desk to an office block party in the true essence of hip-hop. He performed a short set of classics, including “Smooth Operator,” “Ain’t No Half Steppin’,” “Raw” and a bonus freestyle. The smooth operator, Big Daddy Kane, still emits that same palpable swag he did as a lyrical heartthrob during his heyday. He strides into the room and fully commands it with his presence. And now that hip-hop is the most popular genre, with its biggest stars wielding global influence, it’s important to us here at Tiny Desk to continue to make room for the legends who laid the foundation before the whole world became hip. Long live the Kane.